Free Comodo SSL Certificate included with your hosting. ¡Always safe! The best performance. Your hosting until 50 times faster. Great deal with your hosting with yearly payment. Your perfect domain and your ideal web hosting in the blink of an eye. Enjoy your hosting in less than 60 seconds! WordPress, PrestaShop, Joomla...﻿﻿ more than 400 Apps & scripts. Discover the magic of our Apps! Build your website or online store for free, like a true professional, easily without prior knowledge. All PHP, Python & Ruby on Rails versions at your disposal to a single click. All in one hosting. A multidomain web hosting will allow you to enjoy an independent web hosting for each domain. Manage from the same place all domains in the easiest way. ﻿﻿A domain alias is a domain name that act as a miror -alias- of another domain. It is the ideal solution to serve the different variants that a domain can have, maintaining and managing a single main domain. It is usually a series of characters or words that are written before the domain. - Daily incremental backups, with 30 days retention. 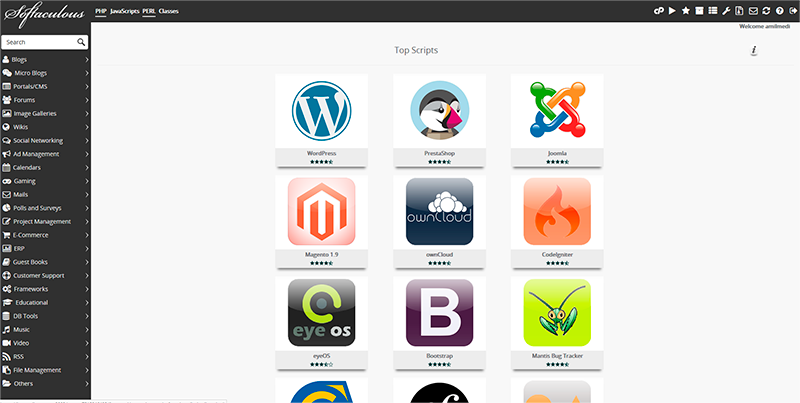 WordPress, Joomla, PrestaShop, OwnCloud...¡more than 400 Apps & scripts! ¡It looks like a kid' s game!